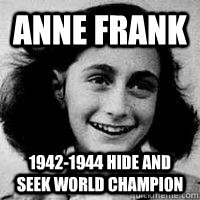 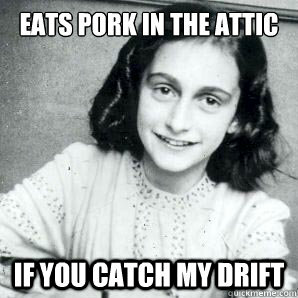 I don't like jew jokes Anne Frankly, i don't see why i'd scream when put in an oven; I'd be dead already. That meme is offensive Anne Frankly, I won't stand for it! 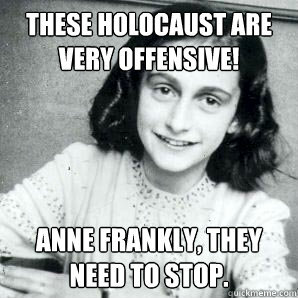 These Holocaust are very offensive! 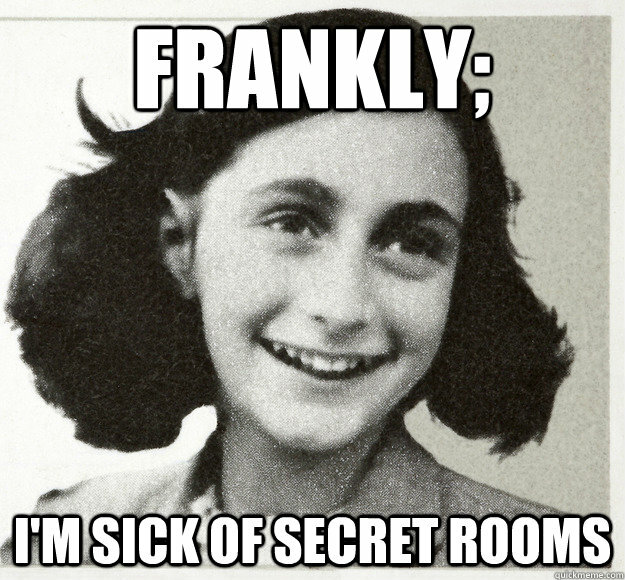 Anne Frankly, they need to stop.